Ever Thought about Vacation Rentals in the Rockies? 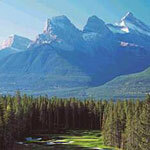 Vacation rentals in the Rockies may just give you the experience you are looking for. Not interested in checking in and out of hotels? Looking for a more familiar feel to your holiday? The renting a vacation rental may be for you. A number of years ago I took my family on a holiday to the west coast and we looked into fully furnished vacation homes. We found one right on the water with a super backyard. We came and went as we pleased, not worrying about bothering any guests. We washed clothes, barbequed and sat out on the deck overlooking the ocean. After the two weeks of staying in this house, we really didn't want to leave - it truly felt like our own home. With the one added difference; we didn't have the daily pressure of having to go to work. The only thing we had to decide was what we wanted to eat that day and what sites we wanted to see! So, think about what kind of holiday you would like. A vacation home may be just what you are looking for. It is a relaxing experience there is nothing like a home away from home.